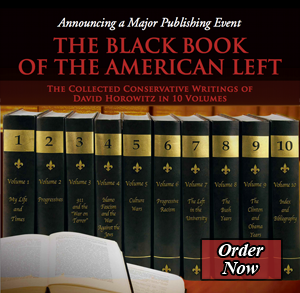 Three days after terrorists flew planes into the World Trade Center and the Pentagon, David Horowitz discovered that he had prostate cancer. As America was rebuilding, he emerged from months of treatment with a “reprieve” from his disease. He emerged as well with this remarkable book of hard won insights about how we get to our end and what we learn along the way. A stunning departure from the polemics and social criticism that have made Horowitz one of our most controversial public intellectuals, The End of Time is a wide ranging, unflinching and lyrical meditation on subjects ranging from what parents inadvertently teach us in their deaths, to the forbidding reality of the cancer ward and the way in which figures like Mohammed Atta use death to become gods of their own mad creation. Hovering protectively over these ruminations and Horowitz’s personal crisis is his wife April, whose stubborn love reached into the heart of his medical darkness and led him back toward the light of this work. The End of Time is also about the redemptive power of language and literature. One of the writers appearing in its text is the Catholic philosopher and scientist Blaise Pascal, whose Pensees functions as Horowitz’s model and guide. Citing Pascal’s famous observation that “the heart has its reasons of which reason does not know,” Horowitz writes: “I do not have the faith of Pascal, but I know its feeling. While reason tells me the pictures will stop, I will be unafraid when death comes. I will feel my way toward the horizon in front of me, and my heart will take me home.